The leader of Telford & Wrekin Council will today call on the Home Secretary to commission an independent public inquiry into cases of child sexual exploitation specifically in Telford. Cllr Shaun Davies is requesting a Government commissioned independent inquiry into cases of child sexual abuse (CSE) in Telford prior to Operation Chalice – one of the UK’s first successful prosecutions of CSE offences that saw seven men from Telford jailed. The Council believes another Council-commissioned inquiry is not appropriate as its independence and scope could be called into question, hence the need for the Government to commission this. A number of independent reviews of CSE have already taken place in the borough. The Council commissioned the Local Safeguarding Children Board to conduct an independent review into the handling by police, council and other partners of CSE cases and this was published in 2013. Independent inquiries into CSE in Telford identified the introduction by the Council and Police of the Children Abused Through Exploitation (CATE) Team in 2008 as the start of changes in practice which are now recognised regionally and nationally. In late 2016 both the Council and West Mercia Police Crime Commissioner put extra funding into the CATE and police teams to further support work on CSE in Telford. 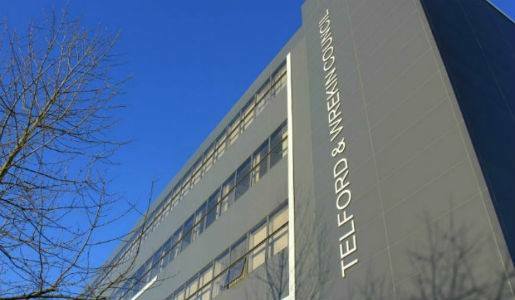 Cllr Davies said: “I grew up in Telford and was at school when many of the horrific cases reported over the last few days took place. As a resident, a contemporary of those who suffered and now as a parent, these stories sicken me. “The way forward must now be a Government commissioned independent inquiry, with terms of reference set by Government – any such inquiry commissioned by local agencies like the Council or police could be seen as not being impartial. This must have complete independence. “We have nothing to hide and have been transparent throughout – since I became leader 2 years ago, we have been inspected by OFSTED on this issue and been visited by the Home Office and Dept of Education. “However, I feel we must do everything possible to know and learn further from what happened in the period before Operation Chalice jailed seven men for vile crimes against children. “I accept and regret that some historic practices were not effective and some of the incidents referred to in recent media reports pre-date the Council. Tackling child sexual abuse remains the Council’s top priority and everyone has a role to play. If you suspect a child is a victim of sexual offences or is being sexually abusing you must report this, even if it is just a suspicion. This Council will act on every report we receive and we continue to support survivors of CSE.